You are viewing: UMX > Handbag, Cigar Box Purse, Wooden Box, Jewelry Box > Hinge > Butterfly Hinge Supplies and Metal Butterfly Hinges With Screws. 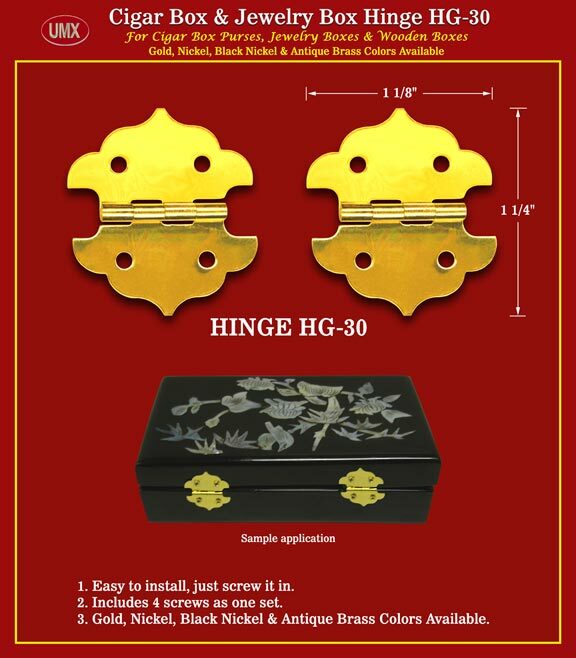 HG-30- Metal Hinge With Screws For Cigar Box, Jewelry Box, Wood Boxes Hardware Accessory. You are viewing: UMX > Handbag, Cigar Box Purse, Wooden Box, Jewelry Box > Hinge >Butterfly Hinge Supplies and Metal Butterfly Hinge With Screw.